After the new update, with the advent of the 3rd Air Defense, all previous TH7 War Base layout are now obsolete. 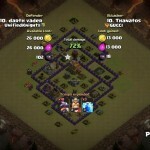 It’s time for the new TH7 Clan War Era with much better strategies which requires manipulations and calculation. 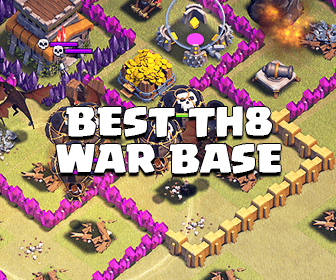 Okay, so let’s take a look at this TH7 War Base – The Elysian! Anti-Dragons: The excellent positioning of Air Sweeper and Air Defenses can deal with any Mass Dragon attack! All Air Defenses are protected by high HP buildings. Excellent funnel against Dragon attacks from South and North. Most attackers will attack from these directions. Air Sweeper is placed away from the Air Defenses and protecting the South. Most attackers start attacking from the South because ADs are much easier to get from there and yes, the Dragon army will get blow away and spread out. If they don’t like the AS and attack from the North, Dragons just can’t even hit the last AD. 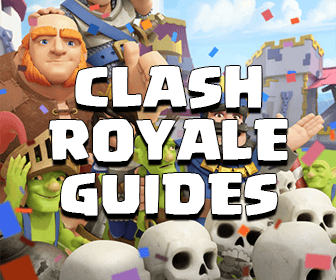 Centralized Clan Castle: Can’t lure out troops without using Balloons or Hogs. 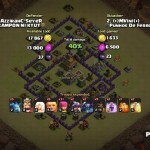 Anti-Hogs: Perfect Spring Traps placements and the Double Giant Bomb at the bottom can take out lots of Hogs and Giants regardless of where the attacker drops Hogs. Anti-Balloons: All Air Defenses are protected by Air Traps and other Defenses, as well as protected by other ones to deal as much damage as possible. 2 Additional Archer Towers in the core can deal lots of more damage to air troops and cover the whole base. You can move 2 outside Builder Huts to the left and right corner. 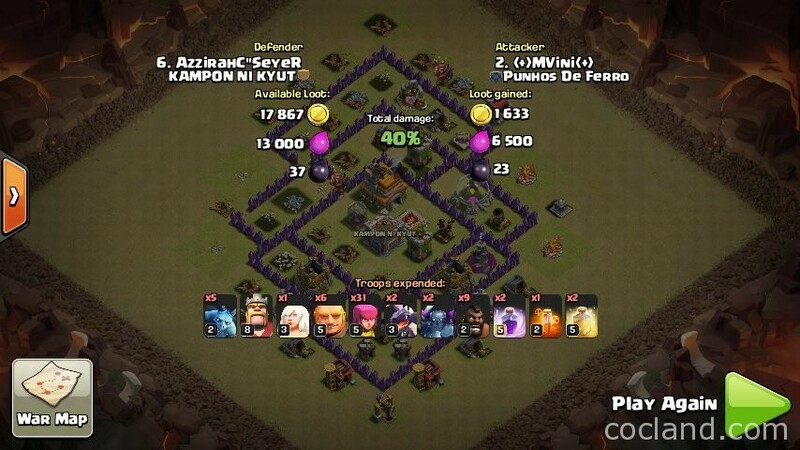 Attacker usually drops the Barbarian King on 1 Builder Hut but If he want to destroy the another one locating at the opposite side immediate, he will need to remove 1 Dragon from the army. 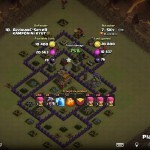 Lots of solid attacks end up with just 2 stars because of the last Builder Hut! 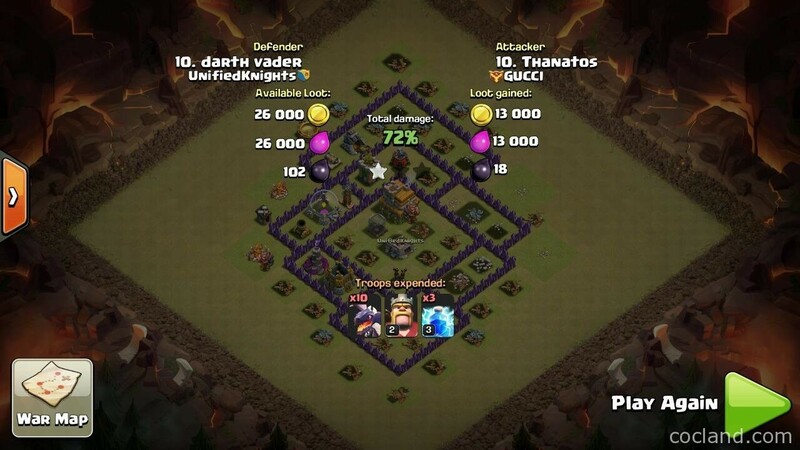 How to destroy this TH7 war base? 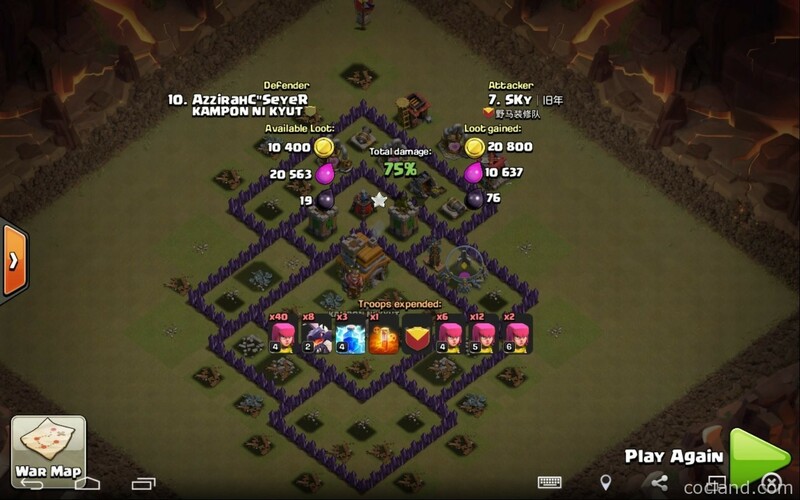 If I were the attacker and had to use Dragons, I would use Balloons/Hogs to remove the top Air Sweeper as well as trigger Clan troops, drop Lightning Spells on the Left/Right AD then send mass Dragon but not many since Balloons eat up a decent space. Since this base is just a few days old so I don’t have many decent defense logs. But I am very confident the base will work for TH7 wars. A big thanks to our friends on cocland (Roberto Kartoredjo, lloydTheBeast,…) for sharing these defense logs! I really appreciate it guys! 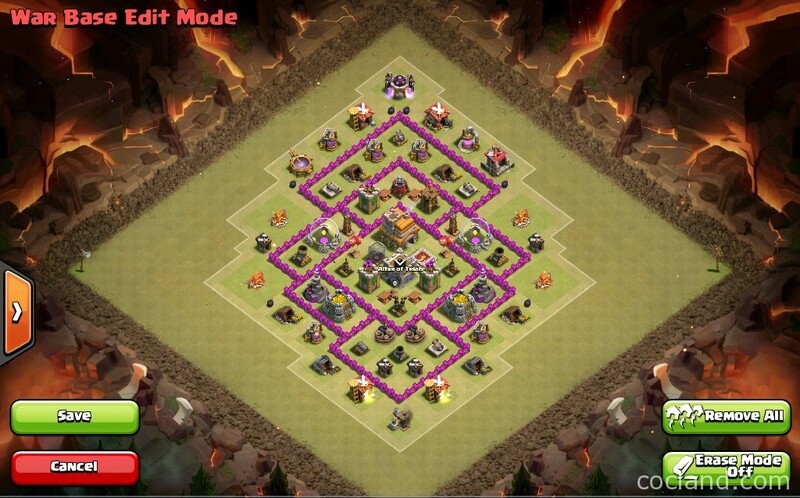 Note: Some players just emailed me and said that this base didn’t work well, they still got completely destroyed. I am so sorry about that but I have to say this: You can easily see the funneling at work with the Dragons going around the last AD. You will need to wait until that 3rd Air Defense is maxed out before seeing a big impact against mass Dragon attacks. If you have any defense log, don’t hesitate to post it here to help us improve this page as well as the base. Share it with your friends and Clanmates If you like it!